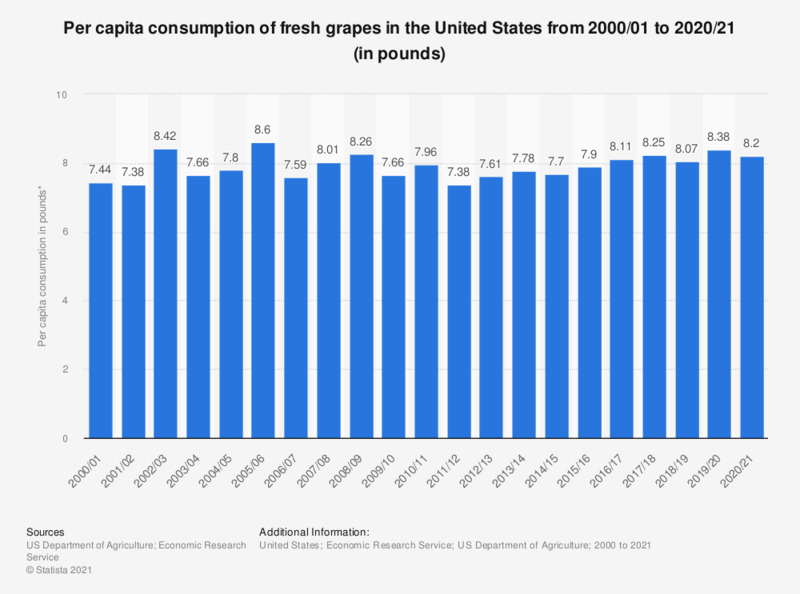 This statistic shows the per capita consumption of fresh grapes in the United States from 2000 to 2017/18. According to the report, the U.S. per capita consumption of fresh grapes amounted to approximately 8.2 pounds in 2017/18. Data are conducted on a crop-year basis beginning in the year indicated.